It is a worldwide trend to visit the best places in the world forgetting the agencies and organized tours, and if this is the way you chose to travel, it will be very important that you know how to get to Machu Picchu. 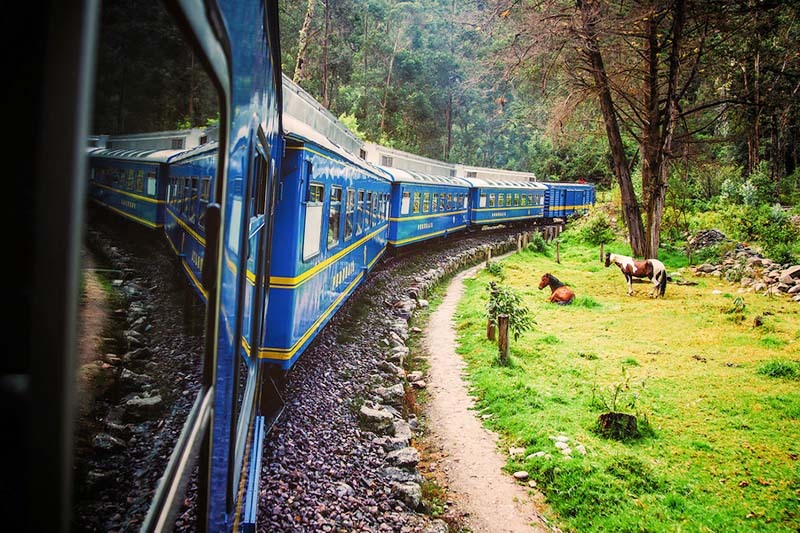 Although there are several ways to reach the Inca city we will teach you how to get from Cusco to Machu Picchu by train; This form combines buses and train, and is the quickest and easiest way to get to Machu Picchu. The train trip to Machu Picchu is an incredible experience, the route through the Sacred Valley of the Incas is considered one of the most amazing train short tours in the world, but if you want to do it on your own, the first thing to do is get The Machu Picchu tickets. The huge demand for this destination has made it necessary to restrict the number of visitors who can enter the Inca city. There are 2,500 Machu Picchu tickets available for each day; However, tickets that include the mountains are even more limited. It has 4 types of ticket and each offers a different experience in Machu Picchu. All Machu Picchu tickets must be booked weeks in advance to have the necessary time to organize the rest of your trip; However, the Machu Picchu + Huayna Picchu ticket should be booked 4 months earlier, otherwise it is almost impossible for you to get one of these tickets for the date you want. If you already bought the tickets Machu Picchu and have short time before the day of your visit, reserve the train tickets; What’s more, we recommend you book them immediately after knowing the day you will enter Machu Picchu, many of the services are usually finished before. You will need to board a car from the pavitos street in Cusco to reach Ollantaytambo; If you stay a few blocks from the Plaza de Armas you can walk. Once in pavitos you will find buses, taxis and minivans whose drivers try to convince you to board your vehicle, then you will hear them shouting to attract more passengers, they are interested in filling them as soon as possible so as not to make wait for those already inside once Full will be set in motion. The price varies from 15 (US $ 5) to 30 soles (US $ 10) depending on the vehicle and how fast you want to get to Ollantaytambo, taxis are more expensive but obviously faster. The route crosses the serpentine roads of the Sacred Valley with different shades of green, unique landscapes of Andean mountains and the raging Urubamba river accompanying it all the way to the town of Ollantaytambo. Once in Ollantaytambo do not miss the opportunity to visit this ancient Inca town, still populated; Is known as the “Inca Living Village”, one of the best places you can visit in South America and one of the best previews of what you will see in Machu Picchu. Its inhabitants have customs that come from the time of the Incas and its streets retain their original name also from that time, but you will also see inca water channels used today. 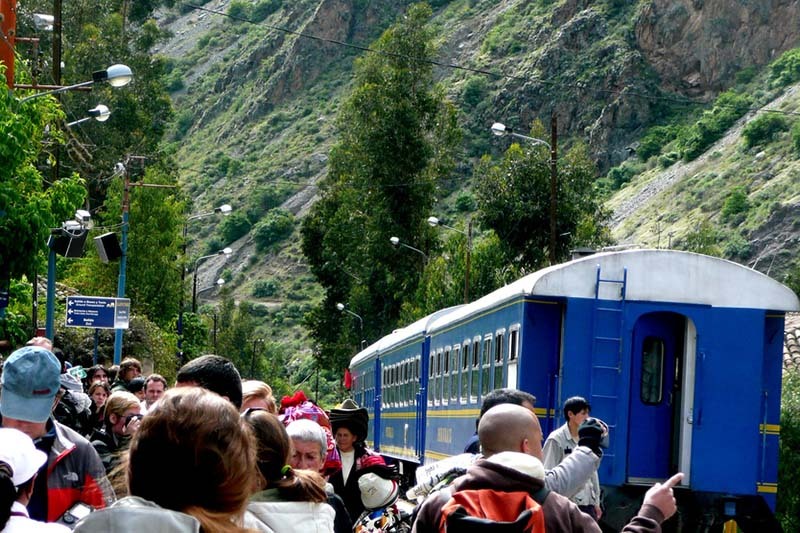 To board the train at Ollantaytambo station you must have previously booked train tickets. 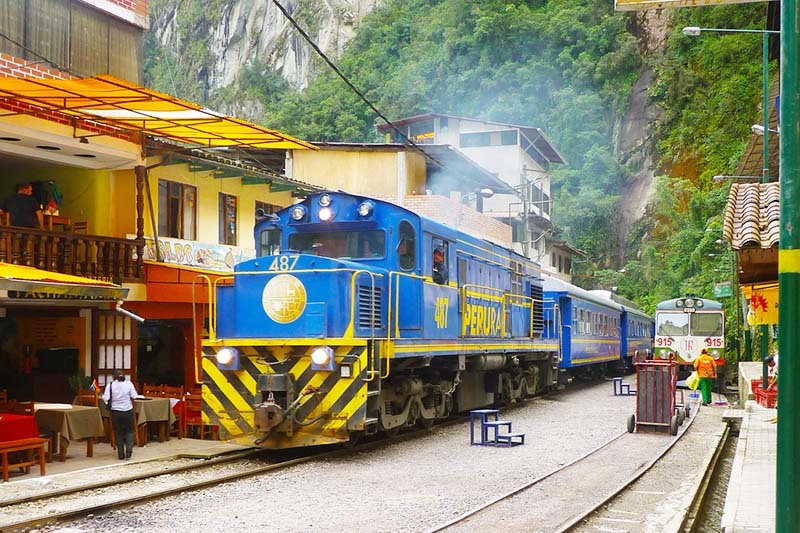 One of the black parts of the trip is that the train to Machu Picchu is one of the most expensive in the world; However, booking them in advance will allow you to access the cheaper services, which usually run out weeks earlier. As we told you this short train route is considered among the best in the world and it goes without saying that every landscape is a gift for sight. From time to time you will see humble peoples, Andean communities and their fields of sowing. Circuit 1: includes the Regional History Museum, Qoricancha Site Museum, American Art Institute Museum, Inca Pachacuteq Museum, Santa Catalina Convent, Qosqo Native Art Center. Circuit 2: Sacsayhuaman, Q’enqo, Pucapucara, Tambomachay. Circuit 3: The most important ruins in the Sacred Valley of the Incas (Pisac, Ollantaytambo and Chinchero). The partial ticket price is 70 nuevos soles (US $ 25). Circuit 1 and 2 are valid for one day and circuit 3 is valid for two days. The rate is the same for students. Once in Aguas Calientes you should find a hotel. Unless you are traveling in high season (June, July, August) it will not be difficult to find one; Prices range from 60 soles (US $ 20) per night (the most economical), up to USD 800 per night in 5 star hotels. 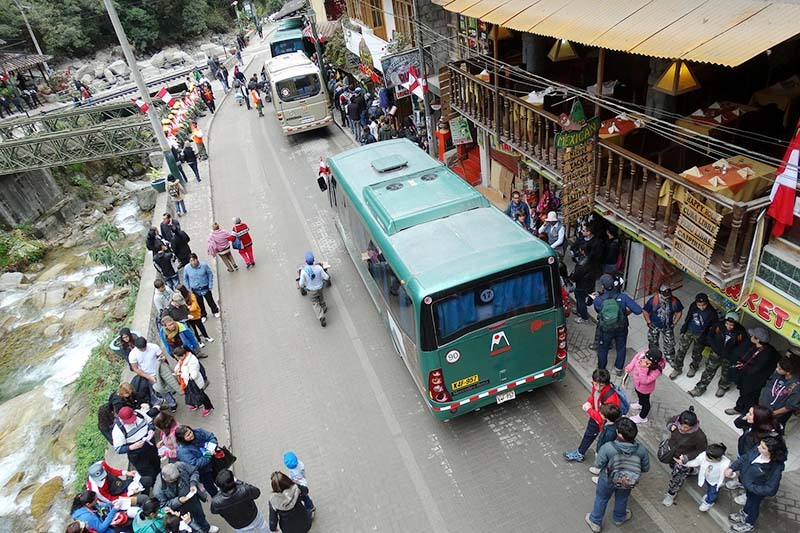 After securing your hotel, get the bus tickets from Aguas Calientes to Machu Picchu, it is the simplest and quickest way to get there. You will find the box office next to the train station, before the bridge ruins and right in front of the station where you can approach them. You can also go up and go down walking, although we believe that you should get on the bus to have all your energy in the Inca city, especially if your Machu Picchu tickets include the mountains. 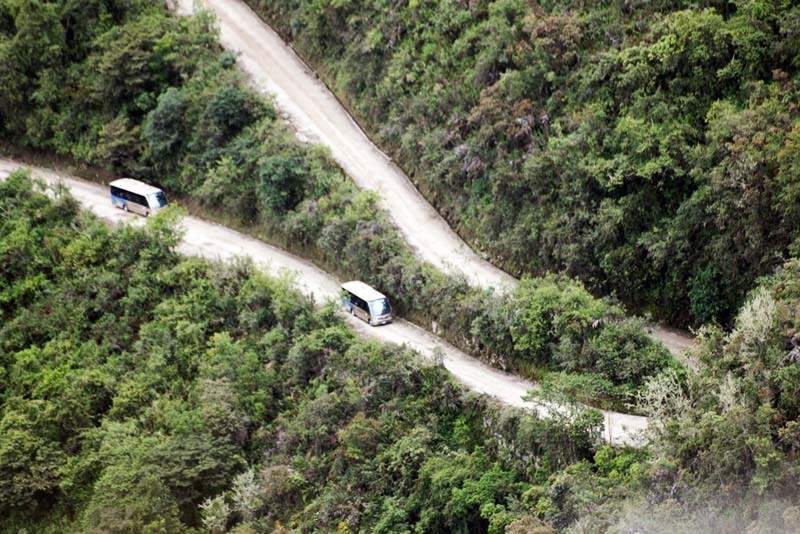 The Hiram Bingham road winds from Aguas Calientes to the entrance gate of the Historic and Natural Sanctuary of Machu Picchu. The climb already anticipates where it is going, and even with fog can enjoy the immensity of the mountains. Once at the entrance you must present your printed Machu Picchu tickets. You can join a group guided by 30 soles (US $ 10). What you will see inside the Inca city of Machu Picchu is simply astounding and will be one of the best experiences of your life.